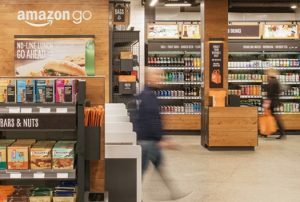 Following its opening in early 2018, Amazon Go is reportedly out-earning other convenience stores. According to estimates from RBC Captial Markets analysts, Amazon Go brings in 50% more revenue on average than typical convenience stores. The analysts reported that the average order size is around $10, with an average of 500 customers per day. A report from September Bloomberg said Amazon is planning on opening up to 3,000 Amazon Go stores by 2021. Based on the averages from the analysts, 3,000 stores would open the potential for up to $4.5 billion in sales revenue per year.